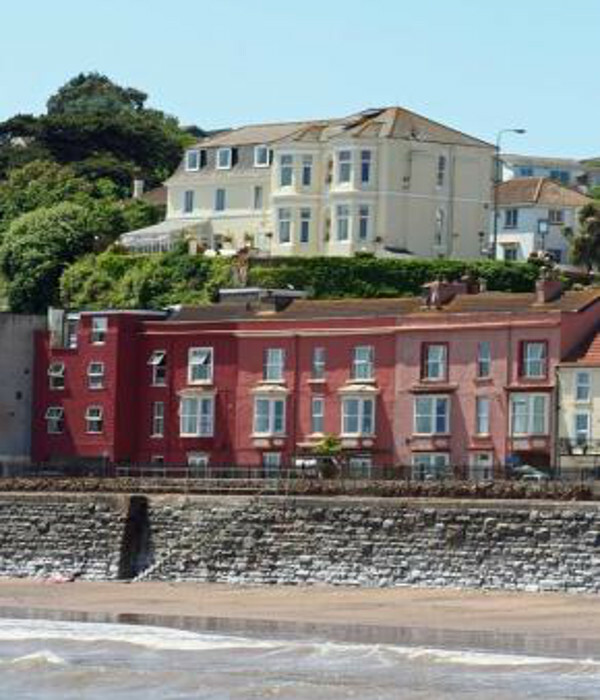 A cream villa overlooking the immediate coastline with a 180 degree view of nearby clifftops, Exmouth and across Lyme Bay. 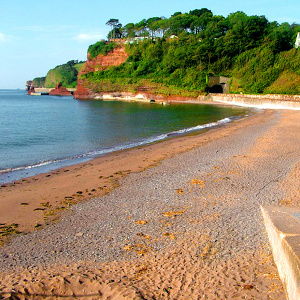 THE KNITTING HOTEL is our home, over-looking the sea in Dawlish, Devon. Everyone can soak up the wonderful seaside view and atmosphere, eat a delicious home-cooked lunch and yummy Devon cream tea. Sink into a sofa watching the waves and spend a relaxing retreat, indulging in a few days focussed on making soft, fluffy and warm things. Photo of me on the Dawlish pier; mucking around in my Tumbling Cascade and my new shiny shoes. Such fun; lots of laughter, scone eating (with clotted cream of course), exchanging of knitting techniques, learning new skills, fish and chips by the sea and too much fudge eating. New designs are swirling around my head and on the needles. It was a momentous task creating our little fibre paradise. Now the bathrooms are gleaming, the water bottles and tea-caddies are in place, our chef has told me emphatically she has all the pans she needs, the hotel yarn has been spun (Black Swan: DK and 4ply – a mix of Devon BFL, Exmoor horn and silk)… we can all breathe. We host 3 day GETAWAY and LEARNAWAY retreats approximately twice a month, so there are plenty of dates to choose from. If you would like to book a LEARNAWAY or a GETAWAY place please email info@theknittinghotel.co.uk or phone us on 01626 866966 to check availability. We will then send you our Terms and Conditions document and the Booking Form to read, complete and return. To secure your place we require a deposit, the outstanding balance needs to be paid 6 weeks before the event. Payment details are indicated on the Booking Form. LEARNAWAY: Thursday evening, Friday and Sunday bring your own projects to work on or knit/crochet the design you are given in your goodie bag + Saturday workshop. We are inviting talented knitting/crochet designers, mill owners, spinners and fibre specialists to host a very special one-day workshop. GETAWAY: as a LEARNAWAY but without the workshop day. Price depends on: the room you choose, sharing a room, one guest in twin-room, sharing a shower-room with one other guest. DAY GUESTS not staying at TKH - visiting one or more of the retreat days; Friday, Saturday and/or Sunday (from 10am until evening). Attending all three days: you are invited to the Thursday evening 'welcome supper' at 6pm and to stay until bedtime, to knit, crochet and chat - no extra charge). EXTRA Sunday night for guests and non-participants as a B&B guest £70/person and go home on Monday after breakfast. For guests staying the Sunday night: eg. cheese and biscuits, antipasti and wine. All guests leave by 11am - however, if you need to wait for a train, we are more than happy for you to sit in the making space/Drawing Room and knit. Or you can leave your case at TKH and go for a walk, go shopping, explore, dip your toes in the sea etc.. The fab BRENDA M WATSON (BMW) will be on hand, at all events, to support Belinda with all manner of technical knitting and crochet knowhow! Brenda is a technical wizard when it comes to knitting and crochet techniques, BHR is thrilled that Brenda will be on-hand at all events for any technical questions and advice. Brenda M. Watson has been knitting for over 60 years. 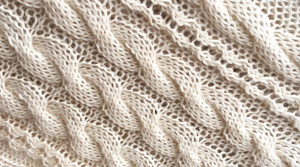 Taught to knit by her aunt - the first garment she knitted was a cardigan for herself when she was 8 yrs old. When BMW was 14 yrs old her mother wanted a ‘fan and feather’ top. BMW knitted it and her mother wore it to work. Everyone wanted one - and so it started... And so Brenda’s knitting ‘career’ began when she started knitting for a bit of pocket money. Brenda has knitted for numerous designers (the list is long), the first being Jenny Sandler, in the 80s (intarsia mostly) and more recently for Rowan, Stylecraft and Wendy design and yarn companies (all the garments, toys, accessories and homeware are used for photo shoots). One of BMW’s claim to fame is that she knitted a peplum cardigan for Joanna Lumley (which JL wore on a TV series called ‘Class Act’).